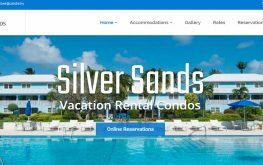 Our website address is: https://www.silversandscayman.com. Any information you send in our forms is used only for that purpose. We do not sell, or use that information in any other way, it is for our own purposes. You can have that data deleted immediately by simply email us at silver@candw.ky and requesting so. It will be deleted immediately. We share you data with NO ONE, it’s just for admin purposes. We sue the latest SSL certificate to secure our website against attack. In case of a breach we will email all customers immediately.